IPOB SIT-AT-HOME UPDATE: ABA DESERTED, ONITSHA-ENUGU SHUT DOWN, IGWEOCHA-ONITSHA TRADERS ON HOLIDAY. Family Writers Correspondence across all sections of Biafra Land has given an update on the 'Sit-at-home' protest which is currently taking places across Biafra Land and environs. The indoor protest which is scheduled to hold today, September 23 2016, by the Indigenous People Of Biafra, IPOB, have early this morning around 9:30am left several cities in Biafra Land deserted, as millions of Biafrans both in Biafra Land and across Nigeria adheres to the protest 'modus operandi'. 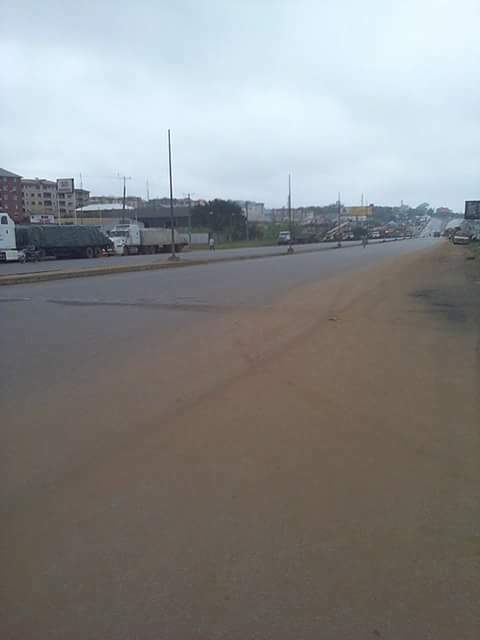 A reporter from Aba, Abia state has disclosed that as at this morning, businesses, schools and transportation companies across the city witnesses a massive shut down as few people are seen parading the roads and streets. In Onitsha, Anambra states, the hub of Commerce of Biafra Land also witnessed a massive level of desertion on roads, market and schools. Main market, Ochanja market, Okija market in Onitsha are all shut down. At Nkpor, shops are locked, as similar situation is noticed across Awka Road Onitsha. 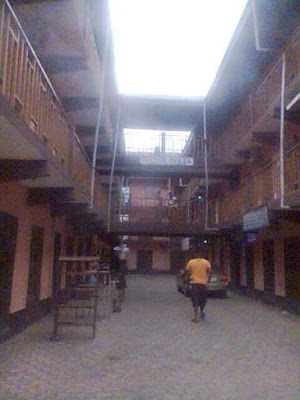 In Port-Harcourt, several markets and businesses have all been locked up. Oil tools dealers at Mile 3 Market are nowhere to be found, Motor Parts dealers and Business tycoons at Ikokwu Port-Harcourt, all seem to be enjoying their holiday in their various homes, as Ikokwu Market is completely shut down. STEEL VILLAGE at Eleme Rivers state is deserted. Hundreds of shops at Mile 1 Port-Harcourt are locked up, even as Trans-Amadi Oil Tools dealers have all gone on vacation. Few civil servants and taxi drivers(mostly of Yoruba and Hausa origin) are spotted going about their daily routine. Enugu also witnessing similar case, as shops in Ogbete Market are locked up. Few cars and people are seen on the roads as the beautiful city looks as if its inhabitants are still at sleep. Family Writers Correspondence across Biafra Land have reported that hundreds of Military trucks and Police vans have been mounted across various check points, roadsides and other strategic places across Biafra Land, with personnels fully equipped to the teeth like soldiers ready to win a second World War. Biafrans have been advised to remain indoors, as Human Rights groups have revealed that a "shoot at sight" order have been given to Nigerian military and Police, against any Biafran activist or loyalist seen on the streets or roads with any item or colour that synchronises with Biafra agitation. WHAT'S HAPPENING? THERE'S SUDDEN PUBLIC HOLIDAY IN MY AREA HERE IN OKPORO ROAD,PORT HARCOURT.MOST PRIVATE SCHOOLS AND BUSINESSES ARE SHUT DOWN.DID IPOB DECLARE PUBLIC HOLIDAY? SINCERELY, THIS IPOB HAS A VERY STRONG AND POWERFUL MEDIA NETWORK. All Hail Biafra..All hail Biafra. Biafrans are with one love and in United we stand. Biafra is indivisible nation.Our mistakes has been corrected by the prophet of our time Nnamudi Kanu,let the Hausa-fulani who thought that they had divided and created enemity among the Biafrans see that they are not divided but are United. I urge you Biafrans to stand your feet and never relent in your quest for freedom because the freedom is already here. Well done Biafrans still trapped in the bandage of Islamic and failed State of Nigeria. All hail Biafra and May bless Biafra Nation. A nation that will flow with milk and honey - the next Israel of Africa - where innovation and invention will be plenty.